The pattern is available now! "In The Woods" can be downloaded from my Etsy store, Quilterly, as a PDF file complete with photos so you can get your quilt put together very quickly. The print version is ready and will be available for stockists soon. In The Woods uses only two blocks yet the fabric arrangement creates a very cool design. It would look great with solids, brighter colors, or 1930 reproduction... or all scrappy! I designed this pattern to showcase beautiful prints so if you have a fabric you love, this is your chance. 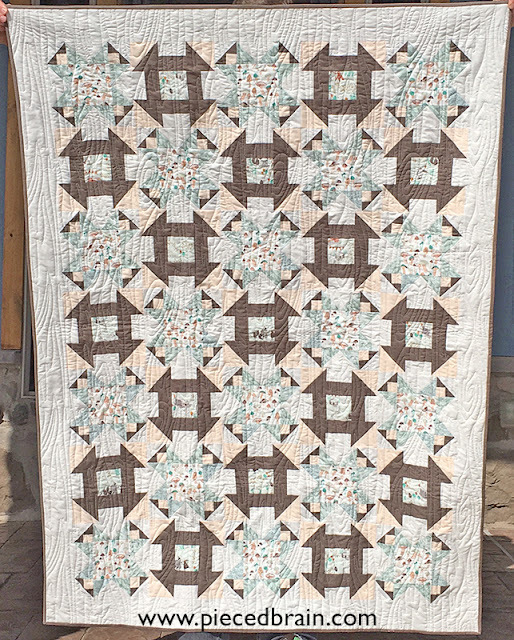 The quilt measures 47" x 63" and the blocks finish at 8". 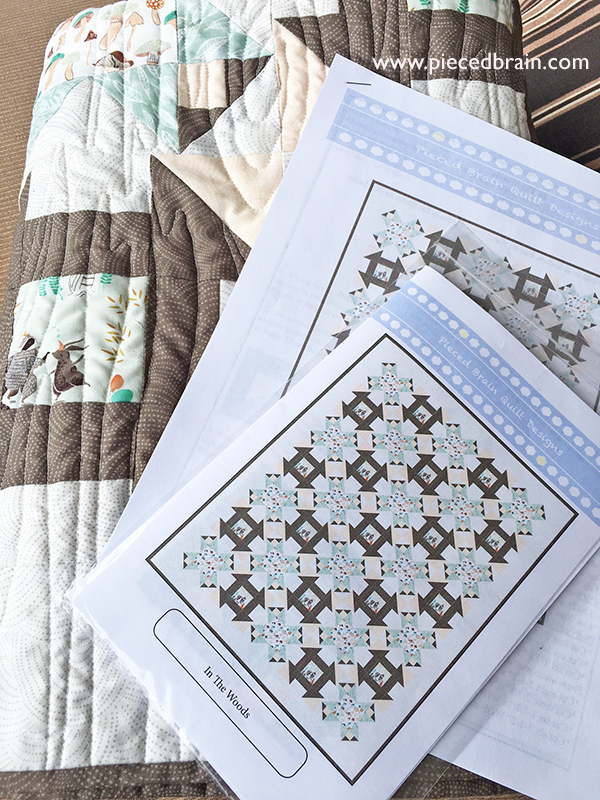 The pattern has instructions for making HSTs using the Strip Tube Ruler by Cozy Quilt (with alternate instructions for traditional piecing). The fabrics used on this sample are from the Dear Stella Foxtail Fern collection by Rae Ritchie. See more details on my previous post. It was pieced with Aurifil 50 wt and quilted by Sew Shabby Quilting. So happy about how it turned out! And this is how I finish February. Here's looking to a fun March!